During my university years, I studied in Florence. Obviously, I fell in love with all things Italian. Campari doesn't make many cocktail lists around Seattle. Now and then it pops its bitter, pink head up to make a cameo, but its marked bitterness is definitely an acquired taste. 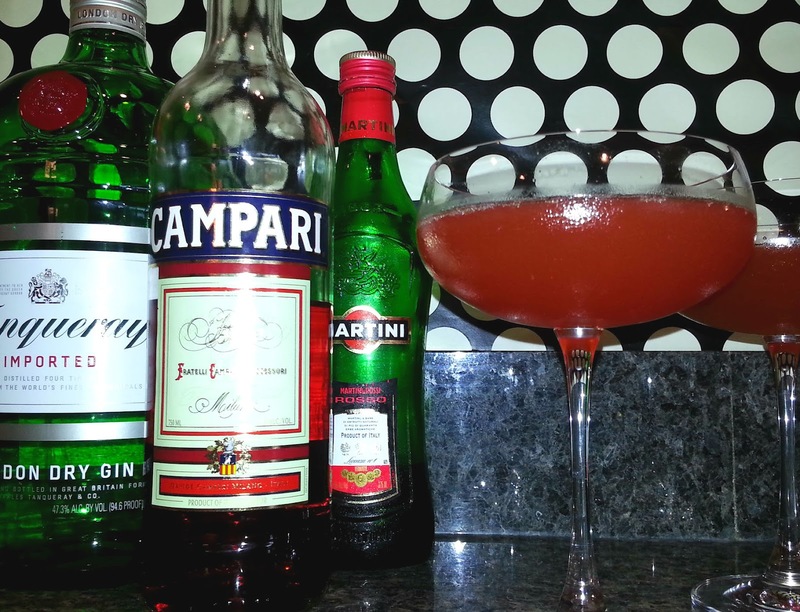 In the grapefruit negroni, my favorite citrus rounds out the distinctive Campari flavor. Squeeze the grapefruit juice into a cocktail shaker filled with ice. Add the gin, vermouth, and Campari. Shake. Shake. Shake some more. Strain the liquid into a coupe. Imagine yourself on a piazza gazing at the Duomo, sip, repeat. I love this with an easy hummus (sub in white beans and rosemary for a more Italian flavor).